What qualifications can I register for at Southern Business School? I want to find out more about Southern Business School. Who should I contact if I want more information? Is Southern Business School a registered Institution? Southern Business School is registered with the Department of Higher Education and Training (DHET) as a Private Higher Education Institution. Registration Certificate number: 2002/HE07/015. All our programmes are accredited by the Council on Higher Education (CHE). Are Southern Business School’s qualification recorded by the South African Qualifications Authority (SAQA)? 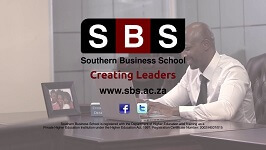 Are Southern Business School’s qualifications recorded on the National Qualification Framework (NQF)? Yes, all of Southern Business School’s qualifications are recorded on the National Qualification Framework (NQF). I live in the Northern Cape, do I live too far away to register? Not at all. Southern Business School has Examination Centres throughout South Africa, Namibia and a number of centres in other countries. I reside in Namibia. Do you have an office in Namibia? Southern Business School has an office in Windhoek, Namibia. Yes, we do. Where a student did not acquire appropriate learning in a formal or structured non-formal manner, s/he may apply for recognition of prior learning. What if I have completed some subjects in a similar qualification at a different Institution. Will they count? You are welcome to submit a certified copy of your Academic Record to us. The Academic Board will evaluate your previous studies and grant you subject exemptions if you qualify. The Academic Board’s decision is final. How many subjects can I be exempted for? A maximum of six subjects may be exempted on degree/diploma level, a maximum of two subjects on Higher Certificate level and three on Advanced Diploma level. A maximum of 65 credits may be exempted on Honours Degree level. What email address can I use for Southern Business School? What student support services are available to me? 2. Prescribed textbooks are the basis and primary source of information in the programme. Self-assessment exercises designed to test the student's knowledge and progress. Subject content additional to the prescribed textbook(s). Lectures in key subjects have been recorded on DVD and provided to students to assist them in mastering subject content. Formative assessment tasks are compulsory with the aim of assisting students to participate actively in the programme. In conjunction with the exercises provided in study guides, at least one comprehensive formative assessment task provides a comprehensive test of the students' learning experiences. Formative assessment tasks are designed in such a manner that they not only test the theoretical understanding of the material by the student, but also their ability to apply the theory in practice. Students may apply for a remark. When formative assessment tasks are assessed, lecturers are required to provide specific written feedback to students. The specific feedback is supplemented by general feedback in tutorial letters. Each subject will have at least one summative assessment task. Subject-specific tutorial letters constitute in many ways an extension to the study guide. It provides generalised feedback on formative assessment tasks, while assuring relevance through updating course material with recent research findings or articles. It is also a supporting mechanism in the student's preparation for summative assessment. The geographical distribution of our students makes it essential to facilitate some form of contact between them. The “New Horizons”, our newsletter issued twice per annum, is one of the mechanisms we use to promote informal contact and discussion between students. In the newsletter, students are provided an opportunity to air their views on issues affecting them, and debate is encouraged. Southern Business School provides extensive online support through the Google Apps for Education platform, which has been designed using sound pedagogical principles. The platform provides each student with a private Southern Business School email address (student number@sbs.ac.za), which makes for very effective communication with students individually as well as in groups (such as a specific programme or subject). Each student is divided into at least a programme group, a number of social groups and a subject group for every enrolled subject, and the SBS group consisting of all current students. The subject lecturer, who can communicate directly with all the students in his or her group, leads the subject group. In addition, each group has shared resources where students can draw from a pool of relevant documentation, such as tutorial letters, articles and other valuable resources. Surveys and live chat opportunities further enhance the capabilities of this system. In addition, students are provided with free Google Apps, which include word processing, spreadsheet, design and other software needed to complete any assignment. It is compulsory for all students that register for any programme to have access to a computer and the Internet. Students are encouraged to email lecturing staff with their questions or queries. Students are encouraged to use the Internet as a medium for research and use the SBS library service and online sources, such as Sabinet and Ebsco. Smart Board transmissions are conducted twice per annum to various centres countrywide and in Namibia. Lectures are transmitted live and students can interact with the lecturer discussing problem concepts. The contact details of lecturers are provided in the study guides. Students are encouraged to contact them. Students are encouraged to visit lecturers by appointment. Because our students are spread over a wide geographical area, we aim to combine distance education techniques with personal contact where possible (such as email and MySBS). A study week is held in April and September of every year in South Africa and Namibia respectively. The study week is an important additional mechanism for student support. Meet with their fellow students. Find explanations for problematic study content. Have the opportunity to meet their lecturer and other staff members at Southern Business School in person. Evaluation of study week presentations and lecturers. Administrative surveys conducted on MySBS. Core administrative services, such as enquiries, admissions, progression, fees and graduation are carried out efficiently and effectively within a student-centred ethos. It is supported by an integrated learner management information system that is efficient, accessible, comprehensive and user-friendly. When was Southern Business School founded? Southern Business School was founded in 1996. Can I find Southern Business School on Social Media? Yes, you can. We have a Facebook and Twitter account. What is Southern Business School’s BEE status level? I want to deposit my student fees. What are the Southern Business School banking details? Does Southern Business School have a website? What is the physical address of Southern Business School? What is the postal address of Southern Business School? How do I sign in to MySBS? Signing into MySBS is detailed in the activation email sent to your captured email address during registration. Didn’t receive the email? Send an activation request to mysbs(@)sbs.ac.za. You can log into any Gmail portal using studentnumber(@)sbs.ac.za as the username and your ID Number as the password. How do I access my Subject Groups on MySBS? Once you have successfully signed in to MySBS, you will see a 3 x 3 square icon on the top right hand corner of the webpage, if you hover over this icon with your mouse you will see it is called “Apps”. If you click on this icon, a drop-down menu will appear with one of the items being “Groups”. If you cannot see the icon, click “More” to reveal it. Using MySBS. Why do I get the error “The email or password you entered is incorrect.“? 1 You could either have typed your credentials incorrectly, so check your username is correct (studentnumber(@)sbs.ac.za) and type your password (ID Number) again. 2 Your account may not have been created yet. Account creation typically takes 2-3 working days after registration has been finalised. Please keep checking your personal for an activation email. You can send an email to mysbs(@)sbs.ac.za, for a password reset in the event that you cannot log in. How do I access Sabinet Journals, EBSCO Journals and eBooks? Once your registration has been processed and your MySBS account is created, you will be able to access our Electronic Journals portal, which will give you details and links which you will use to access these resources. Remember that you have to log in to access this portal as it requires valid MySBS credentials. You can access the portal HERE. Why does the document I want to print from MySBS come out blank? The simple answer may be that your connection cannot transfer all the data to the printer fast enough if you are trying to print directly from MySBS. Simply, download the document and print it locally from your computer.